CellCept is indicated for the prophylaxis of solid organ rejection in adults receiving allogeneic organ transplants. 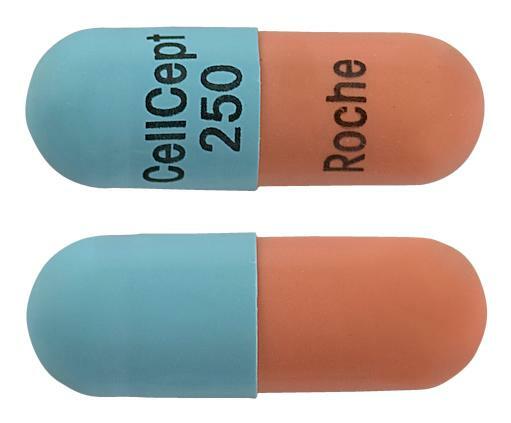 CellCept is indicated for the prophylaxis of organ rejection in paediatric patients (2 to 18 years) receiving allogeneic renal transplants. Lavender caplet shaped film-coated tablet. 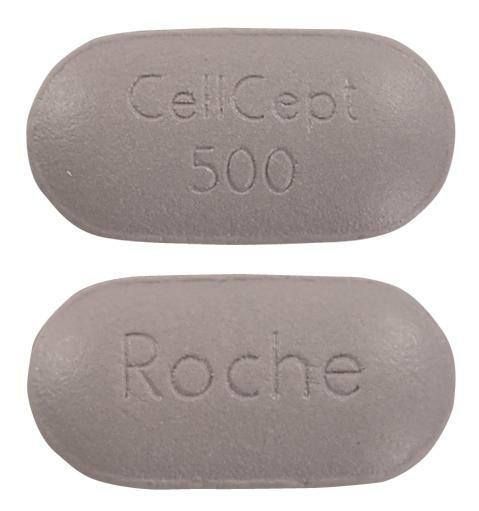 The film coated tablet is engraved with Roche on one side and CellCept 500 on the other. White to off-white powder blend. Reconstituted suspension is white to off-white.